While the market is still under heavy sell-off and speedy buy-in, it is better than ever before to see positive news reach the community. With Bitcoin yesterday reversing in the green gaining zone, almost all cryptos followed the leader and attempted to re-establish the recovery path. 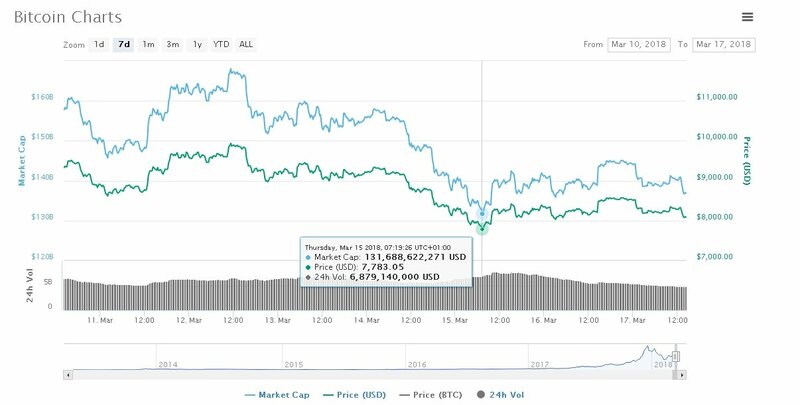 Since its lowest dip [March 15] $7,783, the pair BTC/USD has recovered around $300 reaching just above the major $8,000. As many analysts suggest, Bitcoin price affects all the other coins favorably and adversely – concluding with the very alike pattern. A brand new report from Congress called 2017 “the Year of Cryptocurrencies” and calls for lawmakers and industry stakeholders to cooperate on the technology’s use. The 2018 Joint Economic Report, an assessment of the nation’s economic status and recommendations for the upcoming year, included an entire section dedicated to cryptocurrencies and blockchain technology. This is the first time the blockchain technology was mentioned in such a substantial way in the annual publication. Riding the same positive news-wave, similar to Ripple who signed down partnerships with giants like the Japan Bank of Consortium, MoneyTap mobile, BBVA Compass and many more, Stellar connected close to IBM, KlickEx, LeFinance, Flutter Wave, ICICI Bank and Keybase. “No matter the FUDs, Stellar will fly to the moon! It is for sure.” – freelance coder. Ripple’s intention is to create closer relations with banks and financial institutions, by creating and developing digital currencies and transaction platforms that could be used by the ones mentioned above. As noted out above, both the community and the teams behind the cryptocurrencies are flying the same flag of a better future for the technology and its development. Which is why, once the declining market trend ends – bullish setting will run again and it could be better than ever before.